The bomb that exploded in the Moscow airport killed 37 people and injured 170. According to the Voice of Russia, latest, count of the suicide bomber attack. After the news broke on Monday, Russia and the World reacted. Authorties of Russia spoke to media and to the people of Russia. Russia�s president Dmitry Medvedev vowed to crack down hard on those responsible for Monday�s deadly bomb blast at Moscow�s Domodedovo airport. Foreign leaders and the international community condemned the inhumane act of terror in Russia and expressed their condolences and solidarity. After the news broke on Monday, Russia and the World reacted. Countries from across the world offered condolences and solidarity. 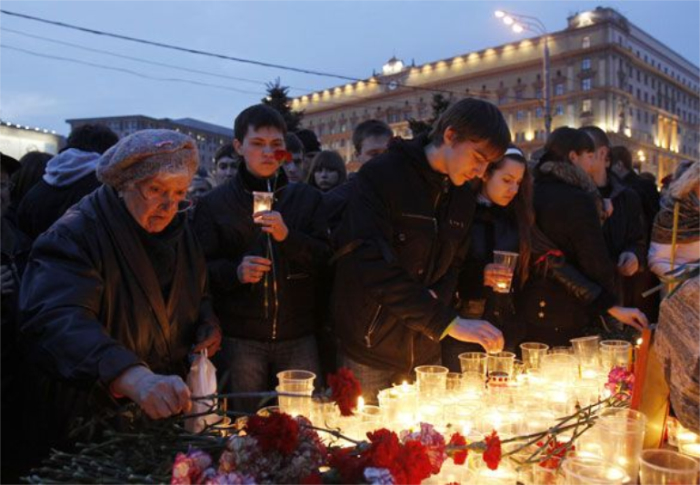 The Voice of Russia reported that Britain was the among the first voices to offer condolences and solidarity. Hillary Clinton, offered condolence and �strong solidarity in this moment of sorrow and grief�. European countries condemended the attacks. The Voice of Russia reported, that according to the Kremlin press service, the Russian president was contacted by Egyptian President Hosni Mubarak, the King of Spain Juan Carlos I, President of Poland Bronislaw Komorowski and British Prime Minister David Cameron. So far no terrorist group claimed responsibility for the attack. Russian authorities said it was still to early to draw conclusions or blame. A full investigation is being conducted. According to the BBC, the Russian Media was outraged by the airport bombings. Energy publisher reported that Cardinal Secretary of State Tarcisio Bertone S.D.B. sent a telegram of condolence on behalf of Pope Benedict XVI to Russian President Dimitry Anatolevich Medvedev in the wake of the January 24 bomb attack at Domodedovo air. The President of US, Barack Obama also expressed deepest condolences and support. In Davos 2011, the World Economic Forum, Russia news was also heard. Russian President Dmitry Medvedev vowed Tuesday to step up security at the 2014 Winter Olympic Games. Authorities and government spokesmen of Russia visited the injured in the hospital, showed their support to the Russian people and vowed to find and �punish� those responsible behind the attack.